Dr. John Davis is a specialist in diagnostic radiology who graduated from the Oregon Health & Science University School of Medicine. He attended an internship program at Family Medicine Residency Spokane and completed his residency at Oregon Health & Science University, which was followed by a fellowship at the same institution. 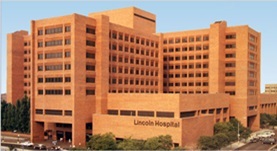 With a career in medicine of over 30 years, Dr. David is currently affiliated with Lincoln Hospital in Washington.